ACBX at the marquee aulao at Copacabana beach closing the event and presenting the winners of the World Games of Capoeira. FROM THE BRONX TO RIO! 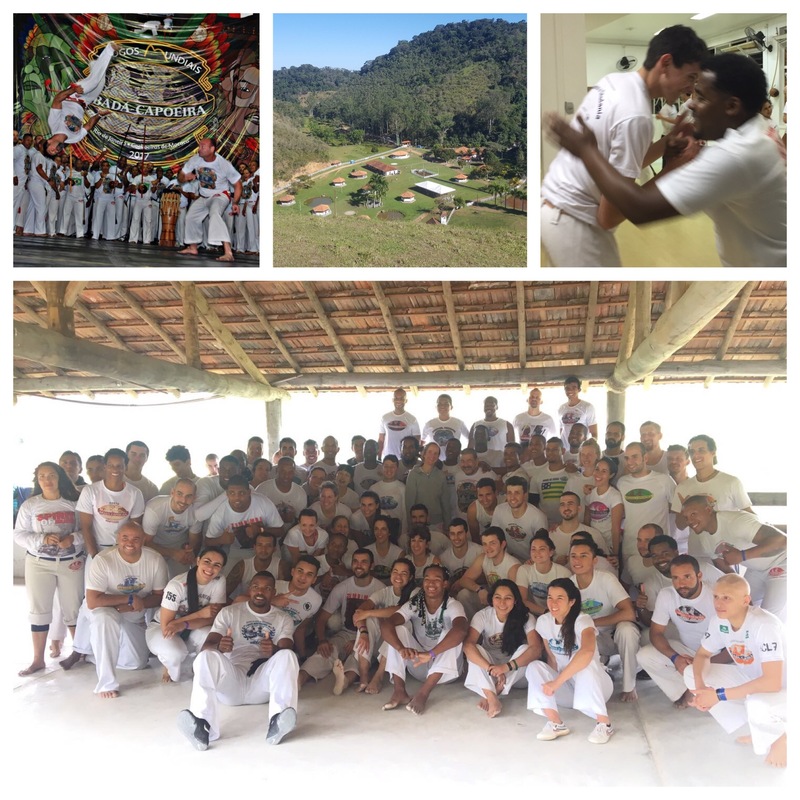 August was an exciting month for ACBX as students traveled to Brazil to take part in the XI World Games of Capoeira and International Congress in Rio de Janeiro. Their first stop was Curitiba, Professor Coco’s native city where they trained with Mestrando Piriquito Verde and his young students. Some had met in 2013, during ACBX’s first trip, thus, it was a reunion with old friends. ACBX students had the opportunity to address parents at a local school – speaking in Portuguese! – demonstrating their language ability acquired by practicing capoeira in New York. 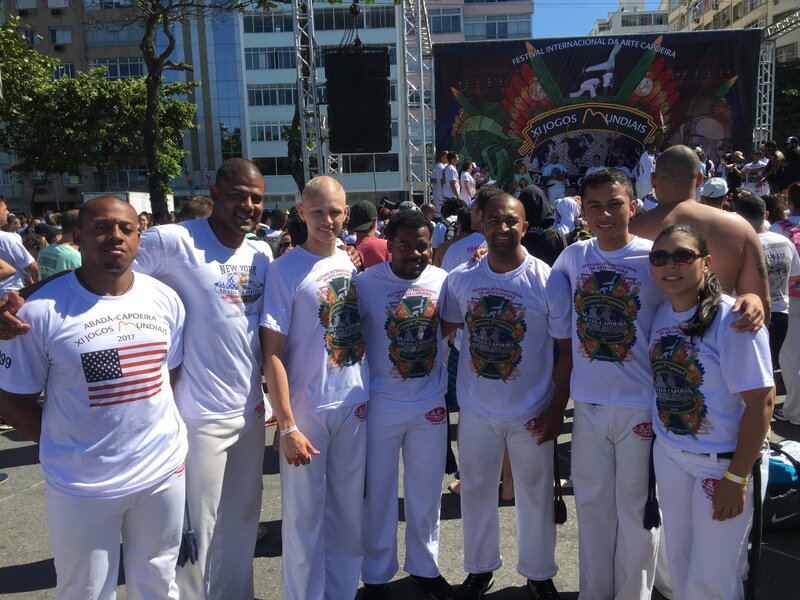 The latter portion of the trip took place in Cachoeiras de Macacú and Rio de Janeiro where Graduados Brandon “Gasparzinho” Taft, Marco “Mosquito” Cisnero, Tim “Cuidadoso” Lewis and Kijani “Bala” Wyse, competed in the XI World Games of Capoeira, as part of team USA. 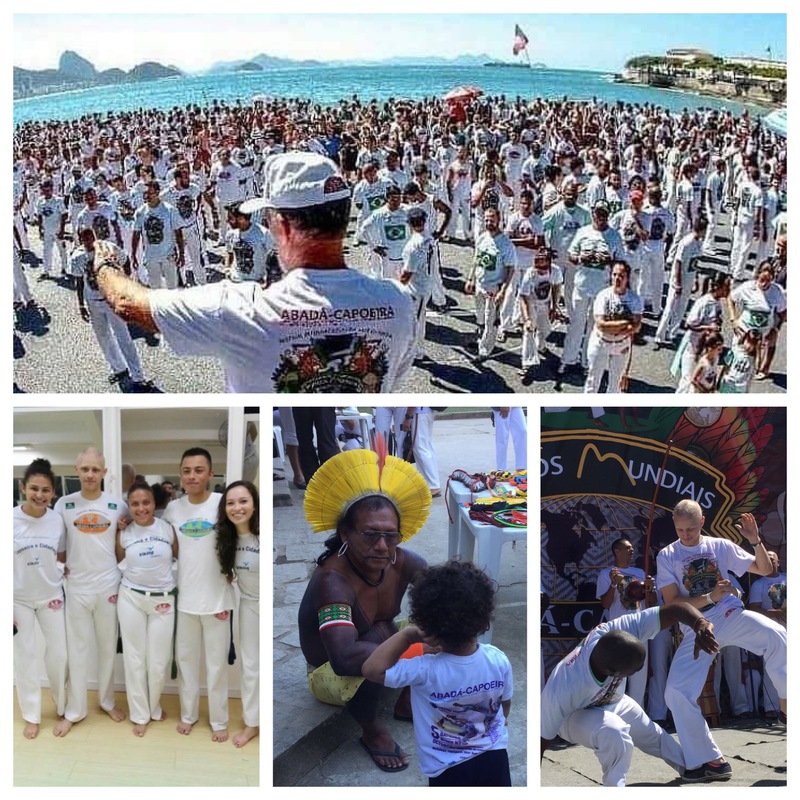 All students had an outstanding performance in front of some of the highest ranking masters of ABADA-Capoeira and spectators from around the globe. Students were also witnessed to an emotional ceremony in recognition of two new Masters and eight new Mestrandos – the last two attainable ranks in the ABADA-Capoeira system. A number of capoeiristas from around the world moved up in rank at this year’s events, including ACBX’s own, Jennifer “Graduada Franjinha” Sanchez, who received the green-purple cord, the last cord in the level of Graduado(a). The World Games of Capoeira take place every two years and bring an average of 160 of the best in class athletes. Thousands of capoeiristas join master classes and discussions throughout the week at the Centro Educacional Mestre Bimba (CEMB). This year’s event theme was “ABADA-Indigena” a pro-social initiative that put a spotlight on issues faced by the indigenous people of Brazil which threatens their existence, their land and their traditions. The week of events ended with ABADA’s marquee Aulão (big class) at Copacabana beach. Students returned motivated to continue to pursue artistic and athletic excellence, and inspire our younger beginning students to do the same. ACBX is thrilled to see Capoeira be the conduit that provides international, diverse and out of the ordinary experiences to young people from the Bronx.